Welcome to this beautiful renovated(2013) 2.5 storey home full of character in desirable Aberdeen area, south of Aberdeen in Kirkendall locale! Traditional charming curb appeal with covered front porch that leads to an updated open concept interior with high ceilings. This 4 bedroom, 3.5 bathroom home offers a spectacular gourmet kitchen featuring granite counter tops, glass tile back splash, stainless steel appliances, gas stove with warming drawer, pot lights and a large centre island. The kitchen is open to the living room that features a gas fireplace with custom mantle and granite surround, and to the dining room that features a built-in cabinet and desk area and double doors that leads to the rebuilt back deck and spacious fenced yard. The master bedroom offers large windows, a walk-in closet and ensuite with glass shower doors and heated floors. New luxury 4 piece main bath features basketweave tile, wainscoting and heated towel rack. The spacious 3rd floor loft is perfect for a kids retreat or master bedroom with a 3 piece bath that features a glass shower and heated floors. Additional quality features include, hardwood flooring throughout, 10” baseboards, pot lighting, all light fixtures, newer windows, built in speakers, main floor powder room and laundry. 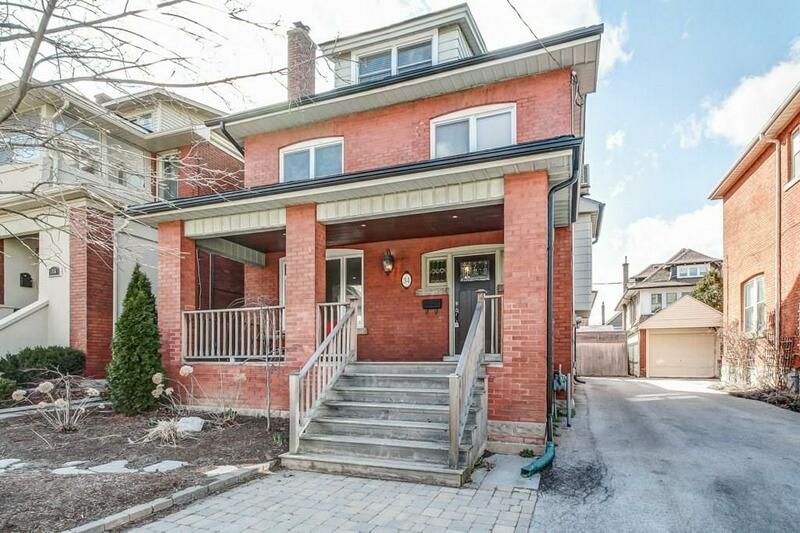 Walk to excellent schools, parks, the Bruce Trail, Locke St shops and restaurants. Just minutes to McMaster, St. Joe's Hospital and Hwy 403. Move in ready perfect for a growing family!